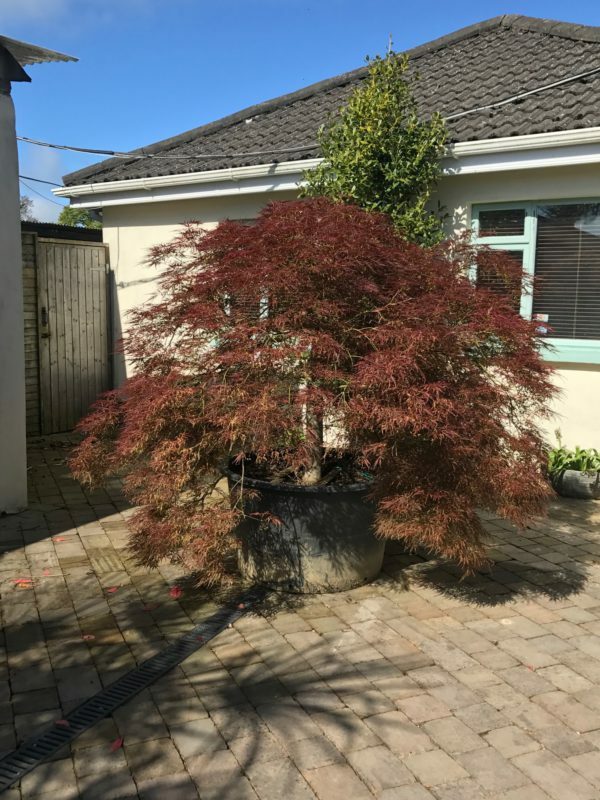 Grown for its reliability and distinctive foliage colour the Acer dissectum Ornatum is a slow growing Japanese Maple tree with an elegant rounded habit. In Spring this lace leaf Japanese Maple produce tiny red flowers. 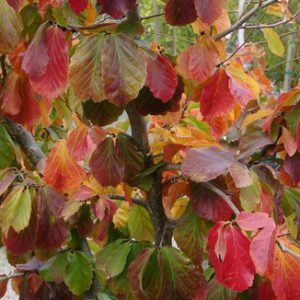 The foliage advances from bronze red in spring to bronze green in the summer through to a stunning crimson red in the Autumn. This Specimen is a half standard with a 150cm stem and an overall height of approx 225cm and a superb wide ( 5-6ft wide) waterfall of very full foliage down to the ground, so elegant a real head turner! Tags: Acer Ornatum, Japanese maple, specimen.